«Bulletin of the Irkutsk State University. Geoarchaeology, Ethnology, and Anthropology Series» include published scientific reviews, articles, brief reports based on the results of the most important interdisciplinary, theoretical and methodological research of domestic and foreign authors in the field of archeology, geoarheology, ethnology, anthropology and related disciplines. Series editorial board includes representatives of leading Russian and foreign scientific schools: Irkutsk, Moscow, Yekaterinburg, Novosibirsk, Krasnoyarsk, Ulan-Ude, Chita, Yakutsk, Vladivostok, Canada and Japan. «Bulletin of the Irkutsk State University. 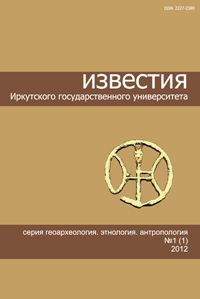 Geoarchaeology, Ethnology, and Anthropology Series» are published quarterly on the journal website, Scientific Electronic Library eLIBRARY.RU and the Scientific Electronic Library CyberLeninka.ru, the full texts of all articles are in open access. All articles published in the journal are tested for the uniqueness of the material and coincidence of the text through the "Antiplagiat" system. Series was founded in 2012. Certificate of registration PI № FS77-60771 on February 11, 2015 was issued by the Federal Service for Supervision of Communications, Information Technology, and Mass Media (Roskomnadzor). By the decision of the Higher Attestation Commission of the Ministry of Education and Science of the Russian Federation the journal «Bulletin of the Irkutsk State University. 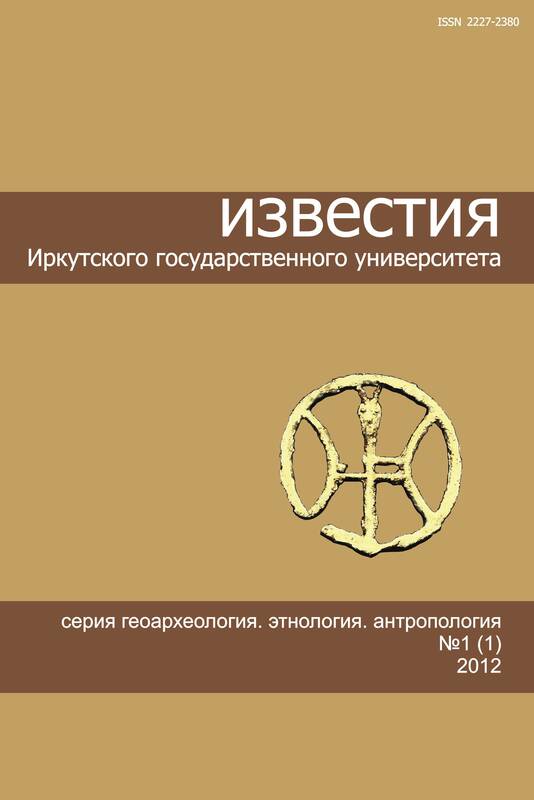 Geoarchaeology, Ethnology, and Anthropology Series» is included in the List of Russian peer-reviewed journals where major research results of dissertations for the degrees of doctor and candidate of sciences should be published. The journal is included in the database The European Reference Index for the Humanities and the Social Sciences (ERIH PLUS).